The PPS positive mud pulse MWD tool was developed by Pioneer Petrotech in order to address the needs of customers engaged in horizontal and directional drilling. It provides the following survey/directional measurements: inclination, azimuth, dip angle, high-side/magnetic tool face, earth gravity and magnetic field. PPS’s unique down-hole coding and surface detection methods ensure the integrity of the real-time data from loss and disruption. 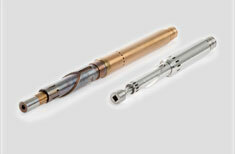 A downhole vibration detection circuit provides real time data to the surface, visually displaying vibration levels for the operator, so they can change drilling parameters to protect the MWD tool.